This is a good read even if you are not a foreign investor, as some of these items apply to a buyer that resides on the mainland or just someone new to Real Estate. This is just a guide for some of the items you will need to know. 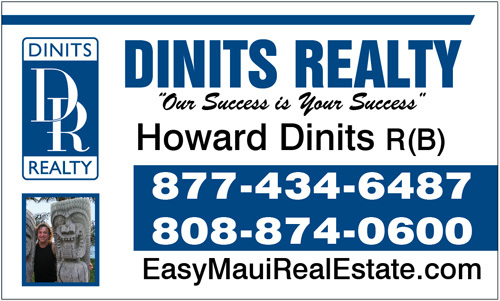 Howard Dinits directly with any questions you may have about a specific purchase or property. I am a Certified International Property Specialist and am here to assist you. This guide may help Canadians, or les Canadiens, or les Canadiennes, and friends in Canada with purchasing Real Estate in Maui, Hawaii. What are the Terms and Definitions that may be different in Hawaii? FREEHOLD = FEE SIMPLE which means you have the right to use the land for an indefinite period of time and, subject to any bylaws or restrictive covenants, may do what you wish with that land. You own the air space above your land and the land itself. LEASEHOLD INTEREST = Leasehold means that owning a leasehold on a piece of land gives you the right to use the land for a certain period of time. The owner of the leasehold may sell the land, but the new land owner will be subject to the terms and conditions of the original lease. 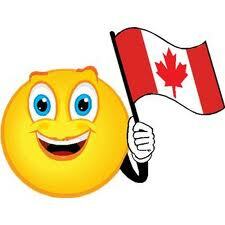 Subjects = contingencies: In Canada you normally remove the subjects within 7 days. Our contingency and inspection periods can be much longer. A standard contract provides 15 days for a home inspection and 15 days to review the seller’s disclosure statement. Existing As is clause = In Canada when a home is sold the seller must bring their home up to code. In Maui, the seller is required to disclose anything that might affect the property’s material value. This is why your real estate agent Howard suggests we hire a licensed home inspector to identify any items that are in disrepair or that do not meet current building codes. FIXTURES vs CHATTELS: If an item is built in or attached to the property in a permanent way, then it is considered a fixture and will be transferred with the property unless it’s otherwise stated in the purchase and sale agreement. A chattel, on the other hand, is something that is movable like a fridge or a washer and dryer. These are assumed to not be included unless otherwise stated in the purchase contract. In Canada I hear you use attorneys for the whole transaction. We only use attorney’s to draft the Deed. In the state of Hawaii we use title companies and escrow officers to handle the transfer of funds, property and the recording of the deed. This is different from the process that you are used to in Canada. The escrow officer, in addition to your Buyer’s Agent Howard Dinits RB ABR will go over with you the time line, title issues, and the necessary required paperwork. When it comes to scheduling your inspections Howard will assist you in locating the right person to do the job. How long does it take to purchase a home or condo in Hawaii? Purchasing Real Estate in Maui can take 45 to 60 days and sometimes longer to complete. Escrow fees, Title insurance, Attorney fees, Loan Origination fees, Pest Inspections, Home Inspections, Appraisal Fees, Home Owner Association Transfer fees, maintenance fees, property taxes and others. As Your Realtor of Choice, Howard Dinits will give you a breakdown and an itemized estimate of all the fees that are associated with your purchase. What does it take to get a loan in Hawaii? Take note: Lenders must be licensed in Hawaii. This means you can’t use a Canadian or a Mainland US lender to finance a Hawaii property. Mortgage Rules can be different in the States as you are able to finance for 30 years. Because your interest rates are much cheaper in Canada, Howard suggests that you get a loan such as a second mortgage on your home, in Canada and use the money from that loan to make a cash purchase in Hawaii. Having already established good credit in the US may help, but I also have discovered that Canada has a credit scoring system that is accepted here in the US by most of our lenders. Canadians also typically pay ½ to 1% higher loan rate than buyers from the United States. How do I go about Signing Closing Documents? Some documents will have to be notarized by a US notary. The instructions will likely direct you to do the signing at the US Embassy. That will likely require scheduling an appointment, taking a ferry and can be time consuming. I often suggest to my clients that it may be easier to come across the boarder to a notary in the US. How do I establish service with the utility companies? If the utilities are to be in the name of the new foreign owner Maui Electric will require notarized ID’s in order to open an account. This can be done in person at the local MECO office. The Maui Water Company may require a one time deposit to establish service. Non-US citizens are subject to FIRPTA. Foreign Investment in Real Property Tax Act of 1980. The act requires that 10% of the sales price to make sure that US taxes on the gain are paid. You may file a tax return to get the overpayment back. If you did not realize a profit there is a form we can file to exempt you from this tax. A 1031 Exchange will also exempt you from this tax. HARPTA is Hawaii state’s version of FIRPTA. In the case of HARPTA, 5% of the sales price is owed. This HARPTA is collected from all sellers that do not reside in Hawaii. If you did not realize a profit there is a form we can file to exempt you from this tax. A 1031 Exchange will also exempt you from this tax. All foreign investors will need a TIN number in the United States if they are renting out their property. If you do not plan on renting it out a TIN may not be needed immediately, however it will be required when you sell the property. Your buyer’s agent Howard Dinits recommends Canadians get the TIN at the time of purchase and it can be handled through escrow. Are you tired of the Cold? Looking for fun in the sun? Looking to Buy Or Sell on Maui? We are considering buying an investment rental property in Maui. We’d like guidance on costs and process. As well as help finding a suitable property. I am happy to help you understand the nuances of purchasing real estate in Hawaii. Here is a link to vacation rental condos for sale. Can you please email me your phone number so we can chat ?